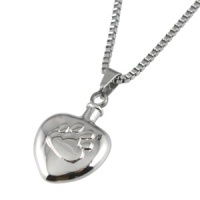 Keepsake necklace Chelsea Design 1 is a discreet way to keep a token amount of ashes with you always. 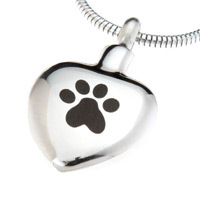 This cremation jewellery has a small barrel urn on the necklace which can be filled with a small keepsake. 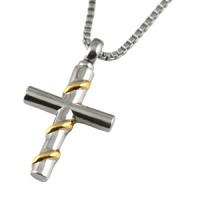 Made of high quality 316L stainless steel with an 18 inch black rubber neck cord (optional 18 inch stainless steel chain available to purchase). 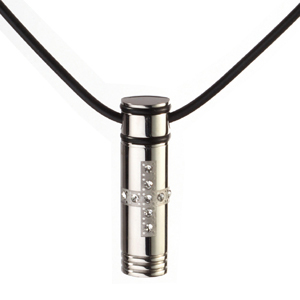 This unisex necklace has a small cylinder shaped urn. 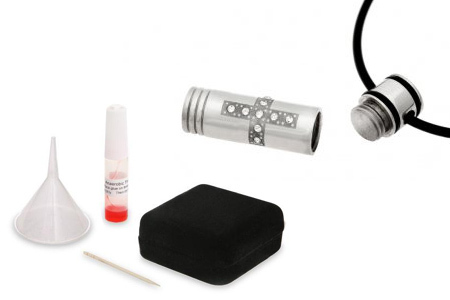 This stylish piece of memorial jewellery comes complete with a funnel, sealant and box. An optional stainless steel 18" chain is also available to purchase.